Stores like Wal-Mart, Kroger and Target owe their customers a duty of care to maintain the floors in a reasonably safe condition for their customers to walk on. For example, lets say that you were injured in a Wal-Mart in Rockwall, Texas and sustained injuries. Now, just because you were shopping in a store and you fell does not mean that you can sue Wal-Mart for your injuries. Generally, a Plaintiff has to prove that Wal-Mart had either actual or constructive knowledge of the dangerous condition that posed an “unreasonable risk of harm” and that Wal-Mart failed to take steps necessary to protect their customers from the dangerous condition. Defendant placed a foreign substance on the floor that is walked on. Defendant knew that a foreign substance was on the floor and willfully or negligently failed to remove it. The foreign substance had been on the floor for such a period of time that through ordinary care, Defendant should have discovered and removed the foreign substance. 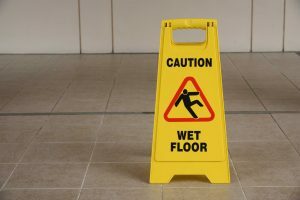 Under (1) above, this usually occurs when the floor has been mopped or waxed by a store employee and left in a dangerous condition for customers to walk on. It can sometimes include where the actions of an employee, such as stocking frozen foods or foods or drinks that carry with it liquid and the employee somehow gets liquid on the floor. However, the more likely case there is that number (2) or (3) would apply in such a case. Under (2), the most likely scenario is that a customer made a mess on the floor and through sometime of notice, by the customer making the mess or someone else who came upon it notified the store, or through inspection, an employee discovered the spill but failed to take any corrective action to clean up the spill. Under (3), the most likely scenario is that the spilled substance was on the floor for an extended period of time, which is a factual scenario that will need to proved by the Plaintiff was a long-enough period of time that Defendant Wal-Mart should have discovered the spill through ordinary inspection of the premises. In these sorts of scenarios, it could be as short as 30 minutes, but even that may not be long enough to show that Defendant should have discovered the spill through regular inspection of the premises by an employee. Here at Guest and Gray, P.C., we are an experienced litigation team serving all North Texas counties. We are the largest and highest rated law firm in Rockwall and Kaufman County. We regularly pursue personal injury claims from slip and fall cases, wrongful death to motor vehicle and 18-wheeler accidents. Our practice is quickly growing with offices now located in Dallas, Rockwall and our main office in Forney, Texas to provide convenience to our clients. We are longtime faces in our community and we love what we do. We seek to provide an air of calm and confidence for our clients during a difficult time. We believe that makes us a little bit different from everybody else, and we like it that way. 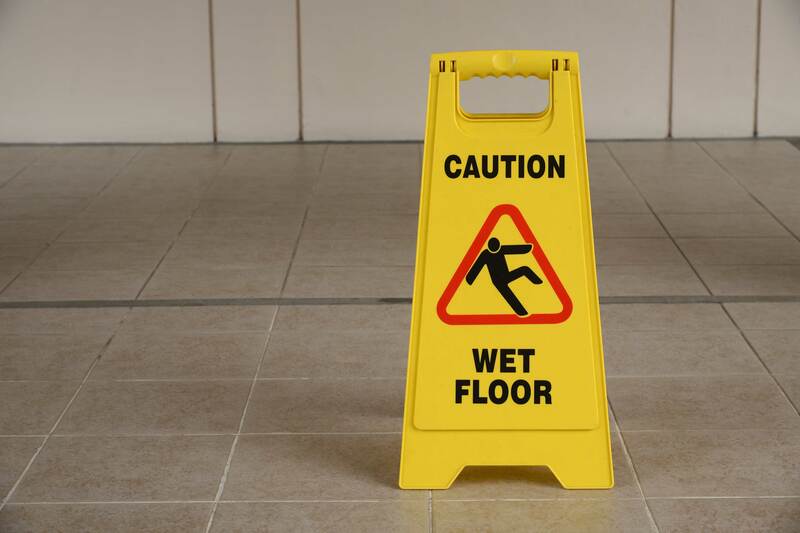 If you or a loved one have been injured in a slip and fall accident in the Dallas, Rockwall, or Kaufman counties, or any of the surrounding areas, you need to give us a call today and schedule a free consultation. For more information, give us a call at (972) 564-4644.